Did you know that a mason jar fits most blenders? 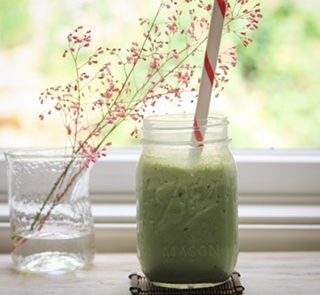 You can make matcha smoothie super-easily without cleaning the big blender container!
) Put all the ingredients in the mason jar.
) Attach the blade base of the blender directly onto the mason jar. Make sure it's tightly attached.
) Secure the jar to the blender and blend.